Under Construction Page Plugin Review: How it is valuable for a website? Under Construction page plugin is a plugin from Web Factory Ltd designed especially for a site while in maintenance mode. This particular plugin promises to provide a user-friendly SEO plugin which is responsive, striking and comes with advanced maintenance templates. It is included in a category of free plugins as they are providing the plugin for free of cost. In this article, you will learn how this plugin will prove as a valuable for a site while in the maintenance mode, features of this plugin and the reviews. 1 How it is valuable for a website while in the maintenance/coming soon mode? How it is valuable for a website while in the maintenance/coming soon mode? 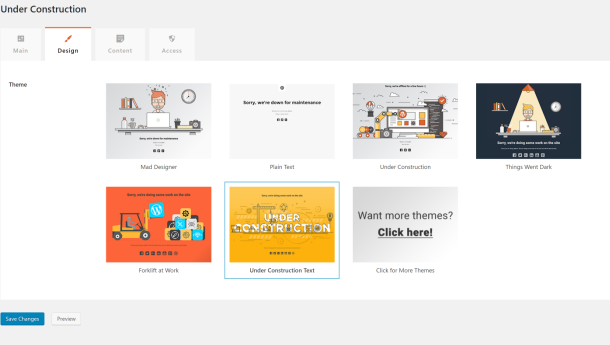 As it is accessible free of cost, it can create a free under-construction page for your site. You can avail dozens of designs (also known as templates) to choose from. This plugin is easy to use and it just takes 5 seconds to setup which is very helpful for a site while in the maintenance/coming soon mode. It provides access to a normal site to the specific user and considered as a perfect SEO plugin to activate development mode. It can be handy even when your site is not launched and it attracts followers prior launching the site. It is also a powerful maintenance page builder because it can quickly and effortlessly set up a maintenance page for any WordPress based site using WordPress plugin. This plugin can come very handy whenever you need to do accomplish certain work on your site and therefore hide it from the public eyes. It is valuable as you can use it in any cases, such examples are mentioned here. It is valuable in Activate Maintenance mode (if you’re speedily fixing bugs on the site), in Under Construction Mode (when you are starting your site, implying to attract followers prior establishing your business) or for creating coming soon page. Using this plugin, you can also track how many visitors you’re receiving while your site is running in maintenance mode. This feature allows you to include your Google Analytics tracking ID, hence makes the task easier for you. 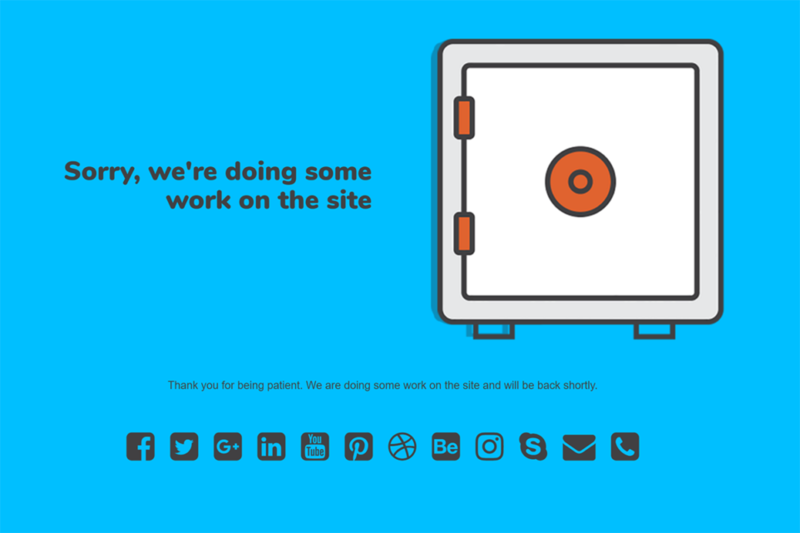 It happens that if you include a date and specific time when the under-construction page inevitably deactivates and website becomes accessible to the user. This plugin offers a feature of schedule deactivation and you are capable of including a schedule in just one click. It is great if you get followers even you have not yet launched your site. All of the design of this plugin includes social profiles buttons and you can insert links to these buttons in the admin panel of the plugin. The additional useful feature is that you can give access to your site to preferred users. For this, you can choose which user roles will look for the normal site and which one will see the construction page while visiting your site. This will grant access to a normal site (without a use of construction page) to an only particular user. It is easy to understand that creating a whole plugin/script from scratch is actually a headache. Apart from this, it is also time and effort consuming for newbies. Many users have experienced that this plugin is simple and easy to use. It does not need any latest knowledge or research of hours and you can install as well as active it within few minutes. Customers have reviewed that this plugin has incorporated dozens of themes with their plugin. Based on your choice and category of site, you are allowed to choose any of the offered choices to appear on your site when you activate the construction mode. It has been observed that all single of a theme is SEO based as it is also SEO plugin oriented and responsive, hence your visitors will not suffer through any problem when switching devices. You need to just choose your favorite theme from web factory LTD and it will be used to your site. It is common that for a custom maintenance page, it charges several hundreds of dollars. Not every user can afford such expensive prices, creating it the hurdle for beginners to have their personal construction template. As this plugin is offering for free, it has received great positive reviews from users. This plugin is offering excellent support as they are updating this plugin regularly every two weeks. This suggests that they are fixing difficulties and delivering a fresh piece regularly. Apart from the updates, they’re offering a decent support and answering every thread in no time. Under Construction Page WordPress Plugin is a free plugin which permits you to form a construction page on your site. This plugin has got pretty much everything that you may require to launch a maintenance page using WordPress plugin for your WordPress site. This best under construction WordPress Plugin will not just assist you in reducing the loss of your social media followers but even in many other things (i.e. upholding SEO through its SEO plugins, tracking visitors etc.) while you function on your site and greatest advantage is that these are free plugins. Great article for under construction page plugin. there are multiples pages are create in wordpress. Thanks a lot for such a wonderful post. I really like your way of blogging.